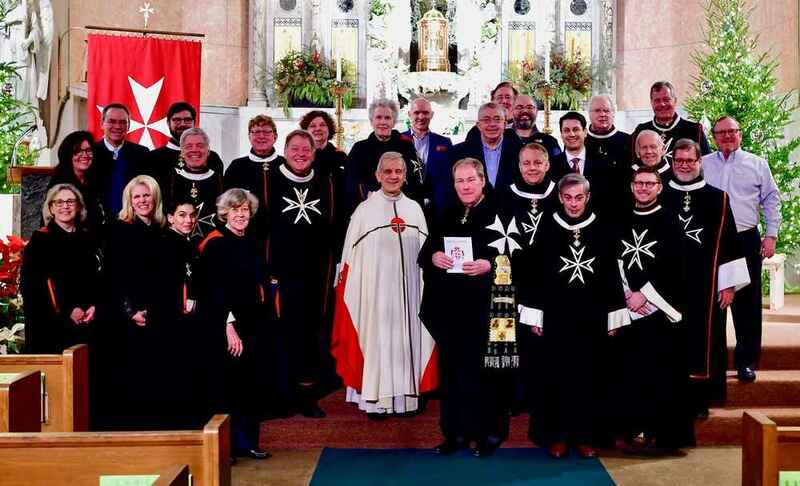 Members of the Chicago Region gathered in early 2019 at the Shrine of Our Lady of Pompeii for the Chicago and Midwest Region Annual Day of Recollection. Led by the Rev. Richard Fragomeni, rector of the shrine, the Day of Recollection focused on intercessory prayer. After a discussion of the four types of prayer, Father Fragomeni spent time teaching about the significance of intercessory prayer and petition, followed by an analysis of antiphons and their meaning. Retreatants had opportunities for discussion, prayer, and the sacrament of Confession. The day culminated with a Mass, celebrated by Father Fragomeni, during which members of the William Ferris Chorale led retreatants in song. A hallmark of the Chicago and Midwest Region is its camaraderie and appreciation for prayer, fellowship and stimulating conversation at mealtimes. Members of the region began the Day of Recollection over coffee and breakfast in the dining room at Our Lady of Pompeii, then shared favorite dishes and ethnic specialties over lunch. As retreatants gathered for various talks given by Father Fragomeni over the course of the day, they were reminded and challenged to become instruments of peace and servants of the wonder of God. Members of the Chicago and Midwest Region will have their next retreat on September 20-22 at the Stritch Retreat House on the campus of Mundelein Seminary.